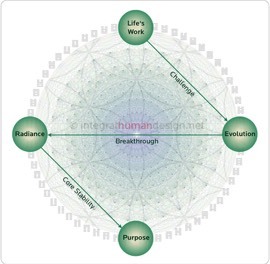 Your four Prime Gifts are your Life’s Work, your Evolution, your Radiance and your Purpose. Taken together, the four Prime Gifts capture the essence of your inner and outer life, and form the Activation Sequence of your GOLDENPATH. Many people experience their Prime Gifts as the cornerstones and central themes of their global role in this lifetime. In your personal Activation Sequence, the Life’s Work and the Evolution describe what you come to master externally, while the Radiance and Purpose are the hidden rewards that emerge as you fully embrace and cope with the former. Note: The GOLDENPATH Evaluation contains the full PRIMEGIFTS Evaluation. You can order Richard Rudd's Activation Sequence Program - a self-paced, contemplative journey which guides you through your Prime Gifts Activation - here.